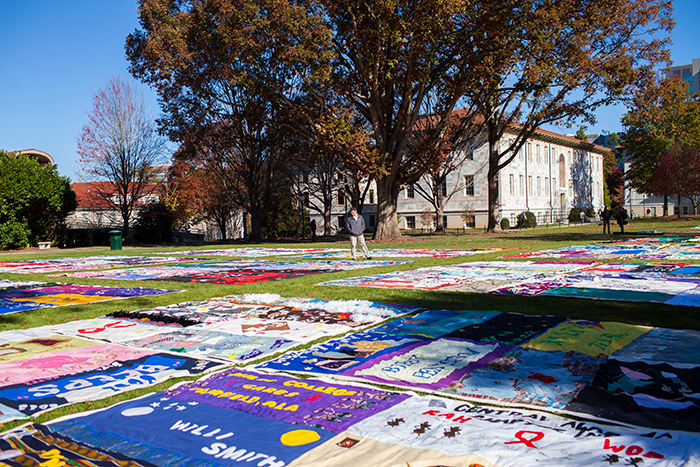 On Dec. 1, World AIDS Day, Emory once again hosted the nation's largest collegiate display of panels from the AIDS Memorial Quilt. 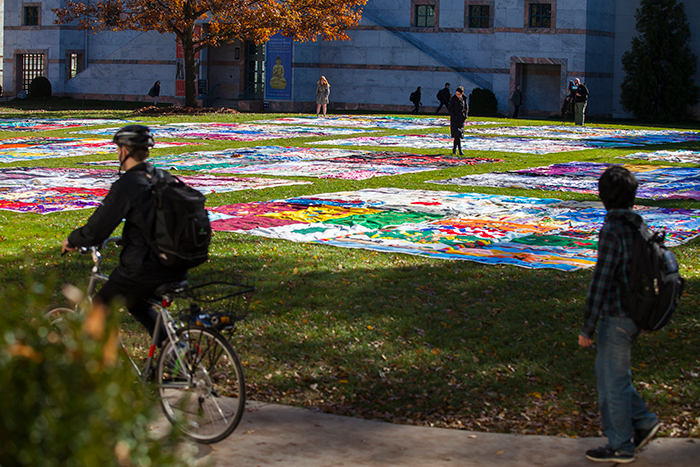 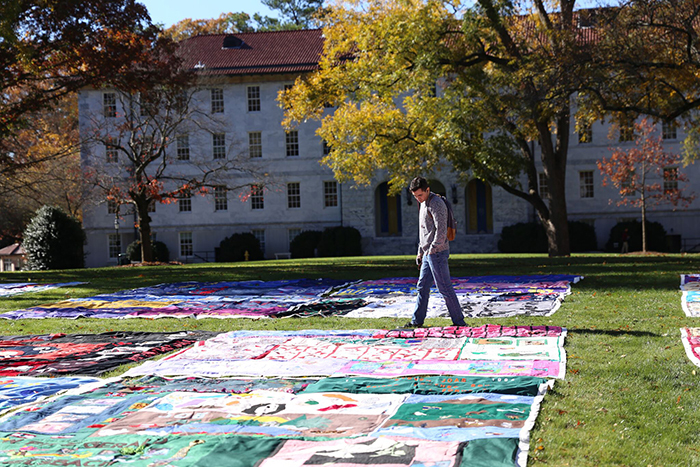 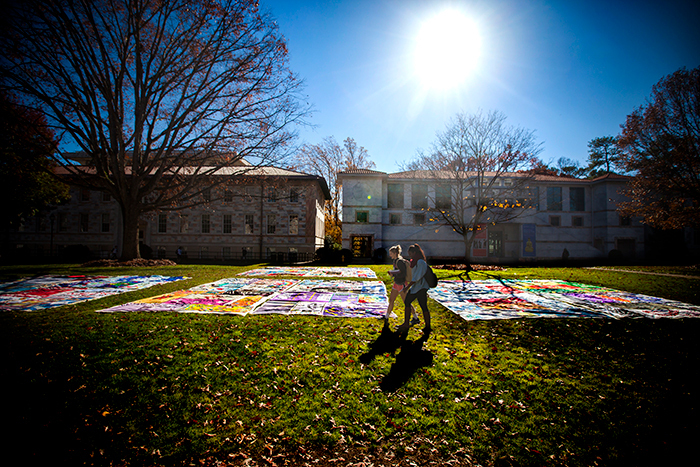 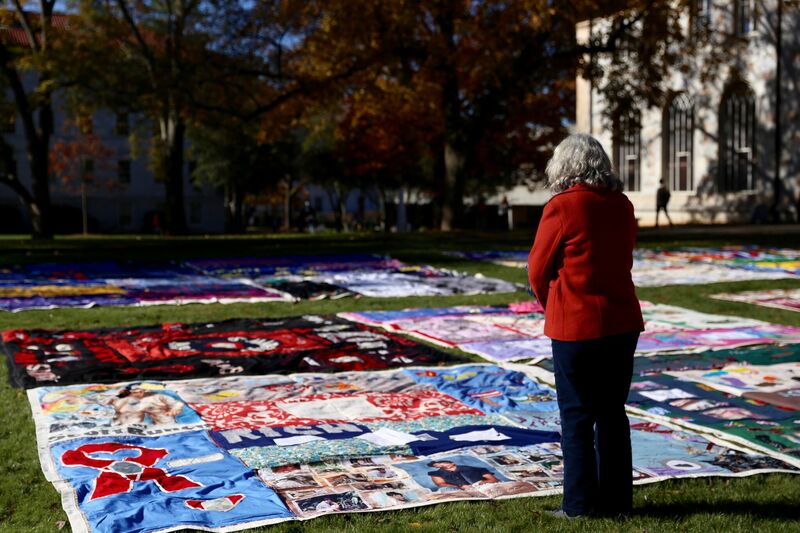 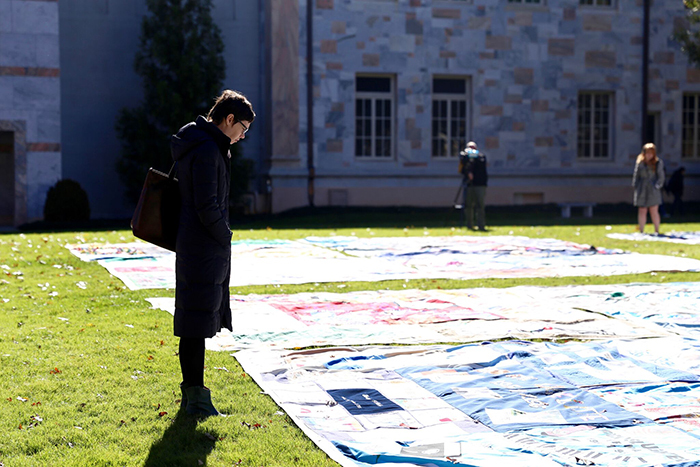 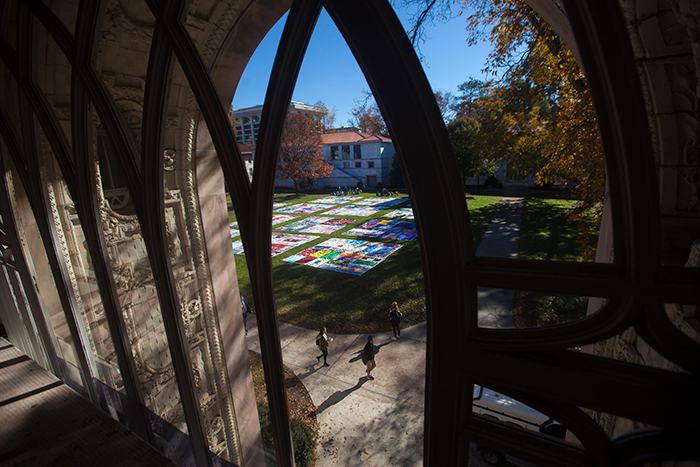 Hundreds of panels, each handmade in honor of someone who died from AIDS, covered the grass for the 12th annual Quilt on the Quad event, offering a somber reminder of the human toll of the disease. 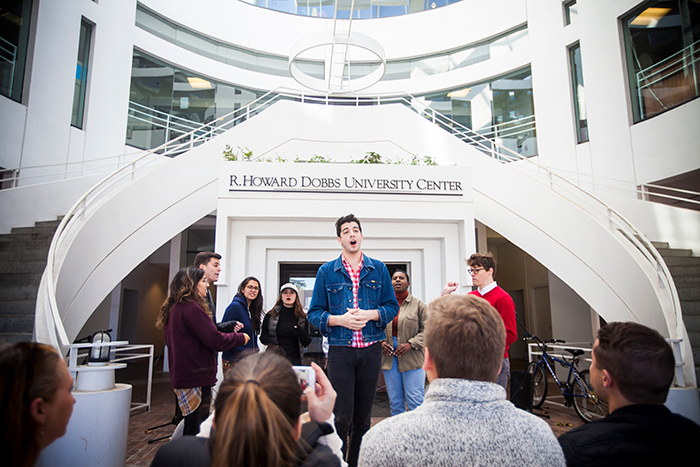 Students also gathered at the Dobbs University Center for musical performances, a community partner fair, and the reading of names of those lost to HIV/AIDS. 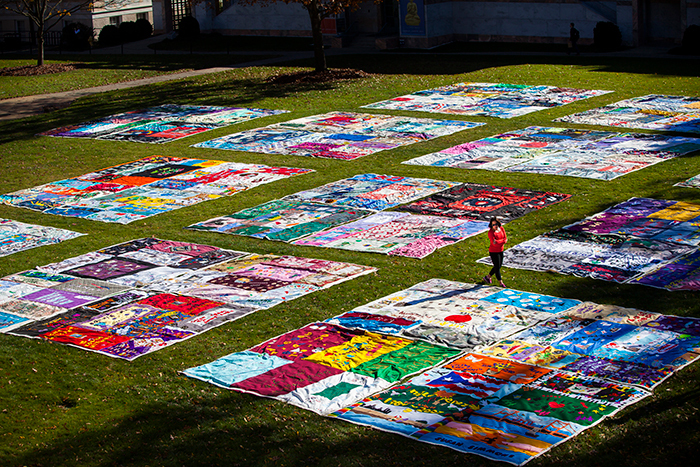 The NAMES Project AIDS Memorial Quilt was founded in 1987 in San Francisco. 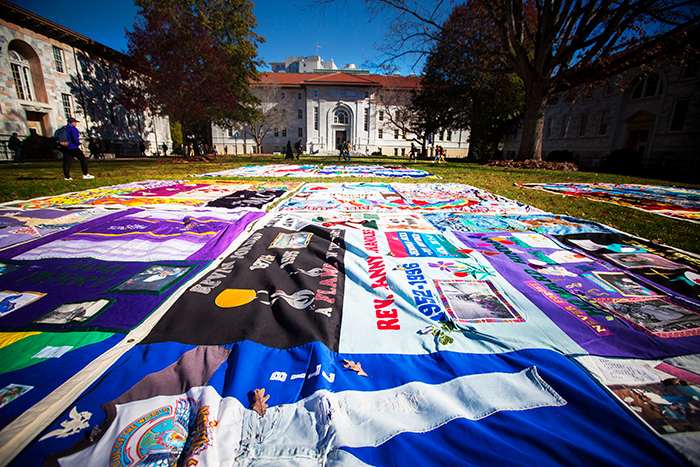 Now headquartered in Atlanta, it comprises nearly 49,000 panels with the names of more than 96,000 individuals.